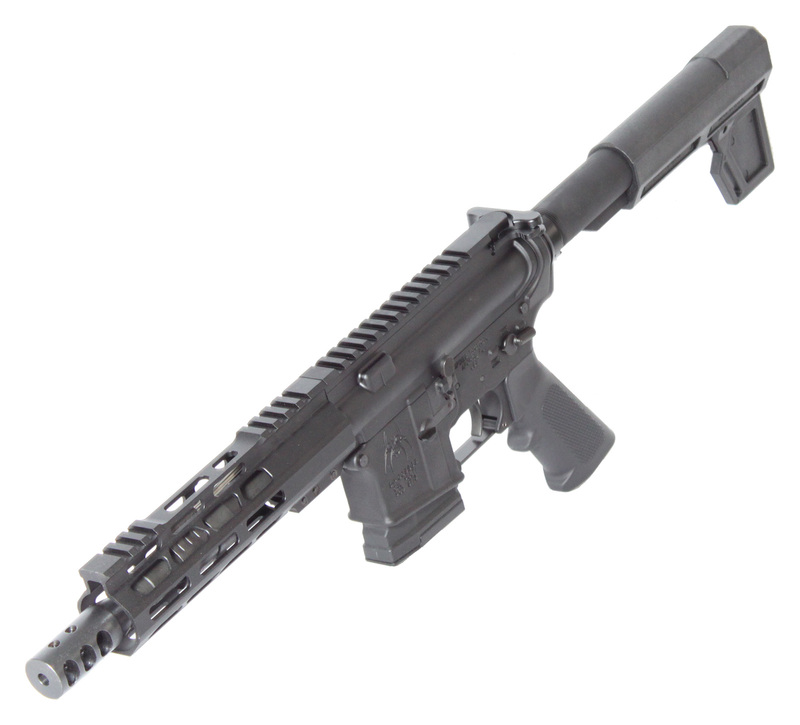 This complete AR-15 pistol features a Spike’s Tactical Lower Receiver as the foundation of this rifle. This lower receiver features the Spike’s Spider logo engraved prominently on the left side of the magwell. This crucial component has been paired with our custom upper receiver and M-LOK handguard providing the shooter with a light-weight, free-floated, rigid design resulting in superior performance. In addition, this design offers a partial Picatinny rail for optics or red dot sights and plenty of M-LOK attachment points for all your tactical accessories. Not all muzzle devices are created the same. There aren't many muzzle brakes and compensators that 'understand' proper high-pressure gas dynamics. This AR-15 Muzzle Brake has a three chamber design that significantly reduces muzzle rise. It has 5/8x24 threads, so you can attach it to your favorite 5.56 or .223 barrel and finally finish that build you have been working on. It is made from high-quality steel and features a durable nitride finish that will look great on any AR build. Your AR-15 handguard has huge implications in terms of how much you enjoy your shooting experience. Our M-LOK handguard offers more than just the accuracy enhancements that come with a free-floating rail. It features a detached style picatinny top rail that sits flush with M4 flat top receivers allowing you to have more space for optics and back up iron sights. The slim profile is comfortable to grip while still allowing enough room for low profile gas blacks underneath. 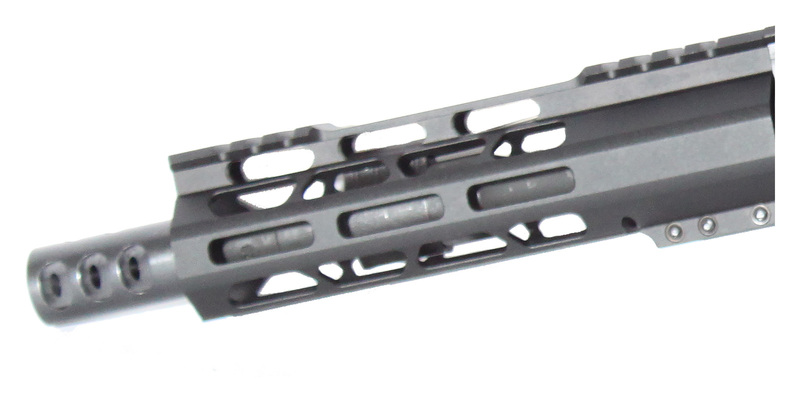 This AR-15 handguard is machined from 6061 aluminum, has a hard coat anodized black finish, and generously sized M-LOK cuts for air circulation. 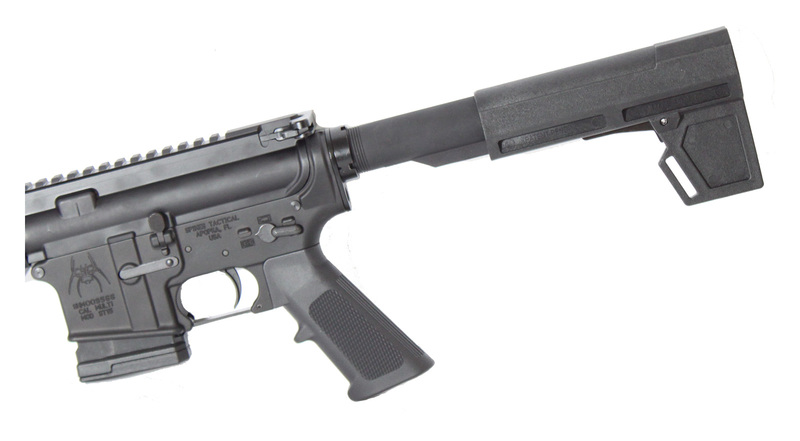 The Shockwave Blade Pistol Stabilizer is made from glass-reinforced polymer and attaches to your AR-15 pistol buffer tube. It allows you to brace against your forearm with the vertical fin so you can easily shoot one-handed or even stabilize it against your cheek for more accurate shots. The Blade 2.0 features extremely tight tolerances that will prevent it from moving and a set screw that provides a rock-solid lock-up.